The source of health is not always necessarily to be required in the pharmacies. 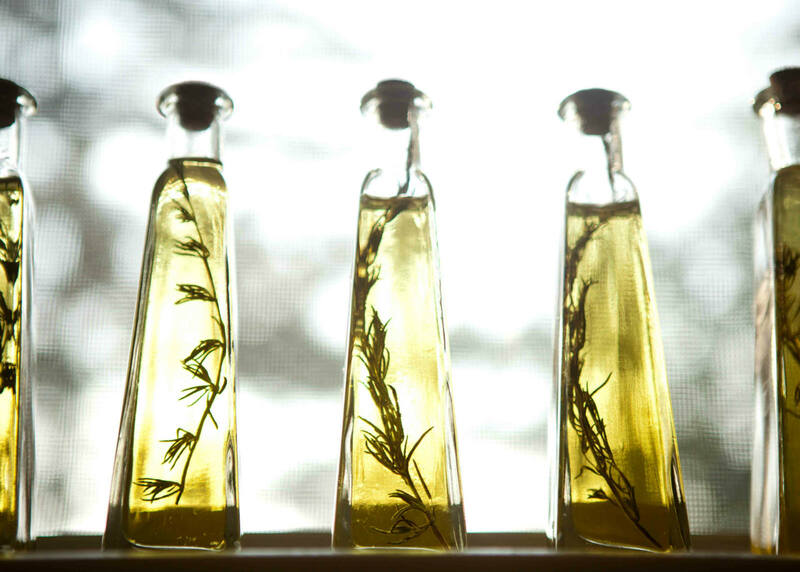 Walks in the nature can be used to pick healing herbs from which later you can prepare homemade healing essential oil. 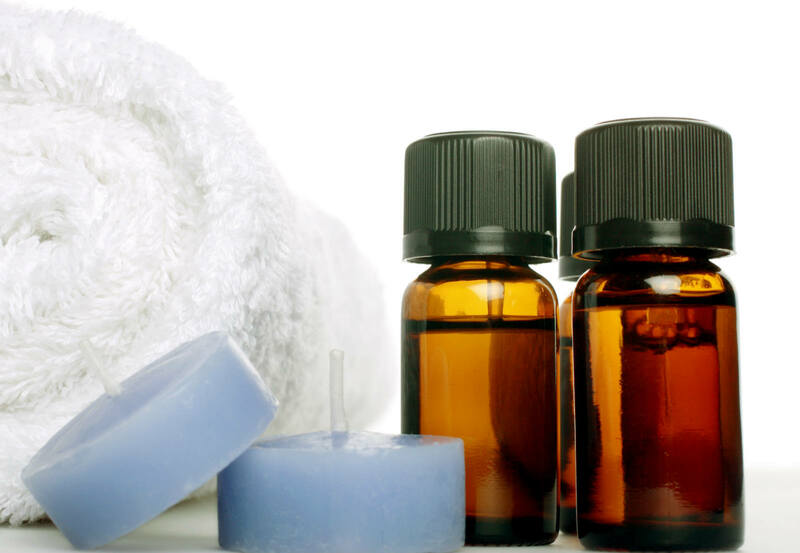 We suggest some medicinal essential oils that you can prepare by yourself use them in your home pharmacy. First of all it is used for hair care. 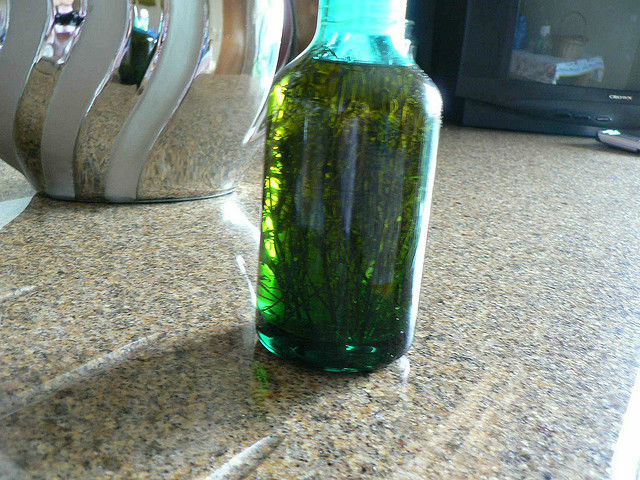 If you rub the hair roots with this essential oil, they become stronger. It can reduce dandruff and the hair gets darker glow. It is not recommended for treatment of burns. It can be used for wet wounds that have difficulty to heal. You should be careful because this oil can very easily lose the healing properties if it is not stored in a cool, dark place. It is known for its strong regenerative abilities to heal skin. The regenerative properties of marigold oil are a myth, but this oil is not used for sunbathing. 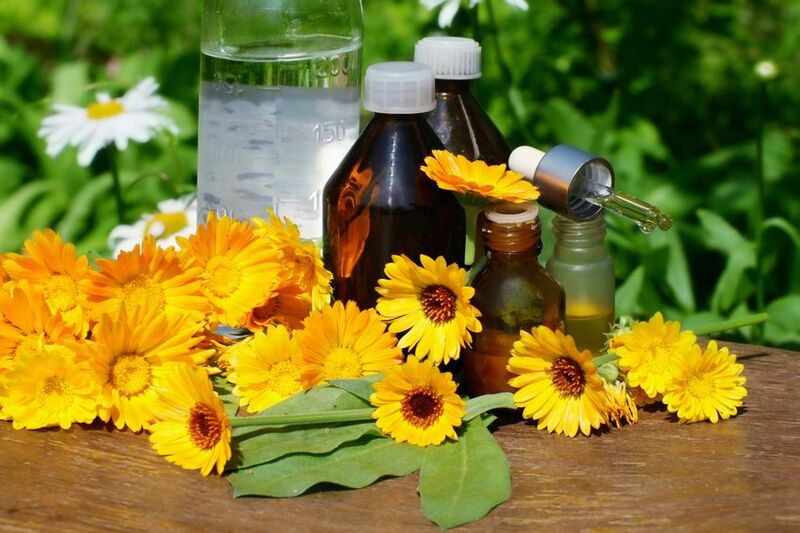 Even is thought that it can act negative on the skin, because the active substances of marigold stimulate cell division of the subcutaneous tissue and the regeneration, i.e. creation of young skin cells is jeopardized, because they can easily suffer under the influence of sunlight. Marigold oil is used for burns, wounds and eczema, swelling and insect stings. The health benefits of the yarrow oil are attributed to its anti-inflammatory, anti-rheumatic and antiseptic properties. Yarrow oil is obtained by distillation with steam, and contains pinene, cineol, camphor, limonene and borneol. It is used to treat wounds, ulcers, improve the digestion and against inflammation of the skin. 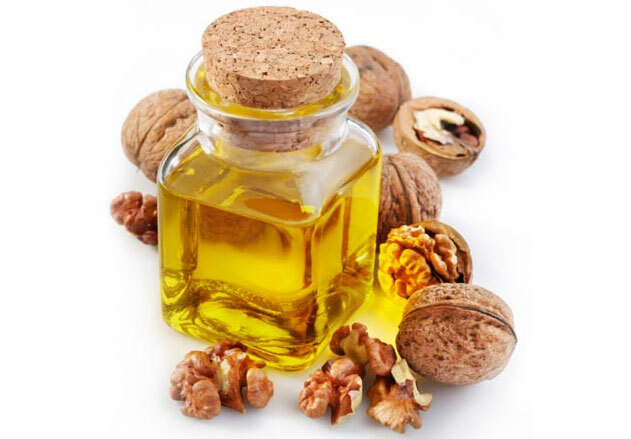 It is used mainly for skin care, eczema, acne and for softening and cleaning the skin. 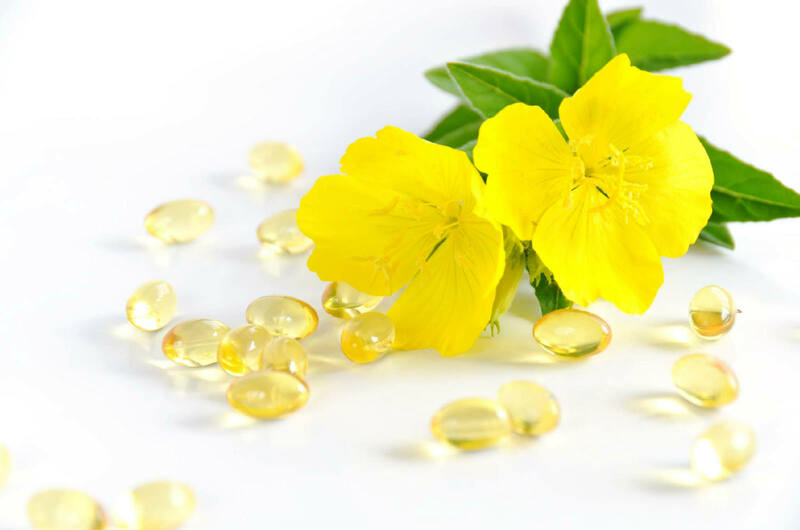 Also evening primrose oil is used for chronic inflammation of the skin (dermatitis, eczema), inflammation of the joints and connective tissue (arthritis), autoimmune diseases (lupus), for womens in PMS. Burdock oil contains extract from the roots of the herb Arctium lappa, kept in olive oil. Burdock oil has antibacterial and antiseptic properties. Helps with skin changes on the head. Successfully prevents and removes dandruff, prevents hair loss, giving shine, volume and vitality to the hair. Also it is used for ulcers, wounds that have difficult healing, acne, lichen, burns and hair treatments. It is used for arthritis, rheumatism, stiff ligaments, bone cracking, massages, for the neuralgia and muscle aches. 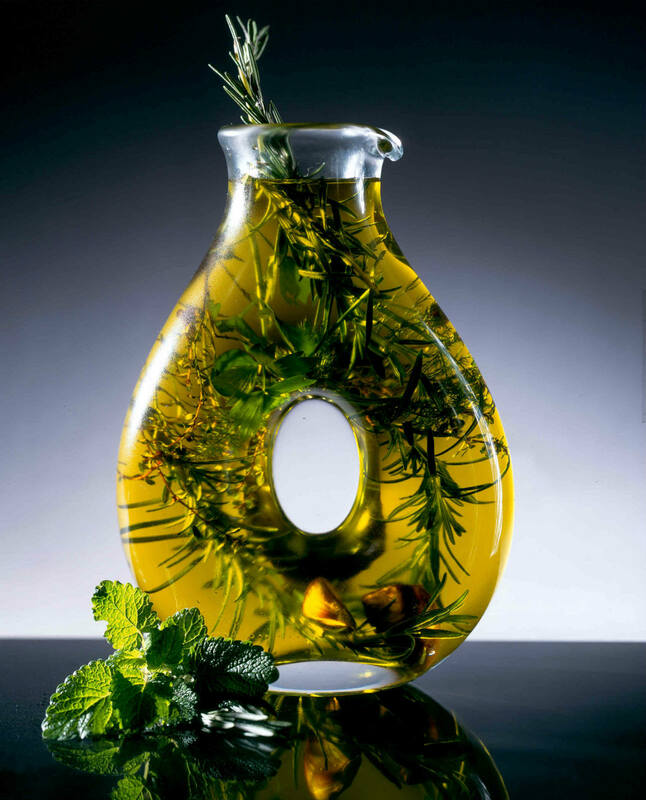 Rosemary oil has spasmolytic property (removes the spasms from the smooth muscle tissue and reduces pain). Therefore it is useful for the treatment of pain in the stomach and intestines. In folk medicine is used to improve the appetite, against stomach gases, chronic inflammation of the gallbladder, gallbladder stones and against liver diseases – Hepatitis, cirrhosis, and others. Thyme oil is obtained by steam distillation of fresh thyme flowers, harvested at the beginning of flowering. Is used as an antiseptic and antifungal agent, it can be added to baths, because it has a stimulating effect. It can be used for sinuses, bronchitis and sore throat and for massage of rheumatism. Due to the presence of thymol, thyme oil act Anthelmintic, so it is used against intestinal parasites.